RCA Living Stereo classical LPs — the gold standard for top quality orchestral performance and sound! RCA Living Stereo 200 Gram Double LP! Remastered and Cut at 45rpm by Ryan Smith at Sterling Sound! Cut from Original Session Tapes! Pressed at Quality Record Pressings & Plated by Gary Salstrom! 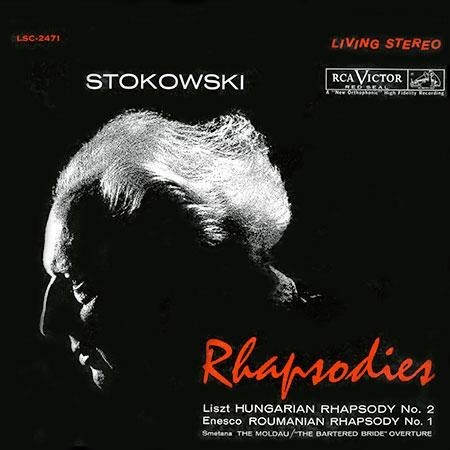 Maestro Stokowski is at the podium and Bob Simpson is at the 3-track Ampex recorder to capture the Rhapsodies from Liszt, Enesco and Smetana that give this issue its title. This is titanic sound that will sink most speakers and amps for that matter. A must have. The original 3-track session tapes were used in mastering this LP from the Analogue Production reissue series.